To feel like you’re working with friends. Instead of worrying if you really need the recommended service, you know they would never steer you wrong. To know your mechanic is using quality parts. Once your car is fixed, you won’t need to return it again and again. To believe you are getting the best value for your dollar. Your car is an investment; to keep it operating smoothly, you want the best parts, the right repairs, at the best price possible. That’s what we want for our families. And that’s what we give to you, our customers. My name is Rob Hounshell, and that was what I set out to do when I opened up Express Car Care here in Denver since 2000. Before I set out on my entrepreneurial journey, I worked for Lockheed Martin on the Atlas and Titan rocket programs. I learned a lot, and loved what I did within that industry. Yet I began seeing changes. Lockheed began outsourcing our work, and layoffs seemed imminent. So my desire of owning my own business moved to the front burner, and Express Car Care was born. Express Car Care is family owned and operated, and you will always see the same faces when you visit. While I own Express Car Care, I work here as well. You’ll always see me somewhere in the building, and I’m always around to answer your questions, or just to say hi. I also look for the same honesty and integrity in everyone I hire. One of my techs has over 32 years of automotive repair experience, and has over 20 years of experience with Ford Motor Company. You’ll also get a chance to meet my two sons, who together have over 22 years of experience in the car repair business. Our promise to you is we will treat you with kindness and respect, and welcome you in as a family friend. We will never shortcut your repairs, or provide you with substandard products or services. We choose products that are the best in the industry, and will stand the test of time. 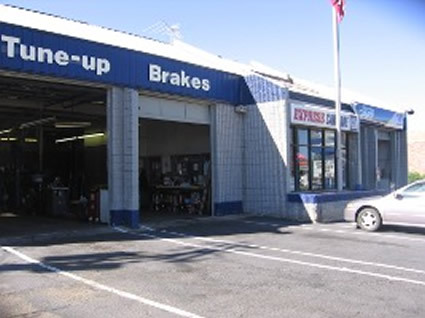 If you are ready for a new approach to the car repair process, we invite you to give Express Car Care a try. Let me know what I can do for you; I’m looking forward to meeting you.